The Association of Professional Staffing Companies (APSCo) has announced new Compliance+ Standards Committees for both the Education and Social Work sectors. The expert representatives will help to shape the trade association’s Compliance+ strategies into 2019. 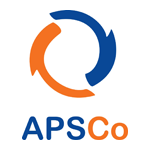 APSCo developed its Compliance+ accreditation to provide an uncompromising quality benchmark for Education and Social Work recruitment companies. It is the best practice quality standard for Education and Social Work recruitment businesses and compels members to go beyond statutory safeguarding standards and aim for excellence in competency selection and service quality. Permanent members of both committees include APSCo, an Independent Auditor and Keith Rosser as Chair.